Whether you're looking for a gift for her, for him, or you'd like to treat a friend or family member, read on to find a hand-picked selection of my best sellers. Delight nature lovers with beautiful wildlife homewares. Or treat a creative person to one of my unique sewing kits so they can create their own! Prices starting from just £2.50. 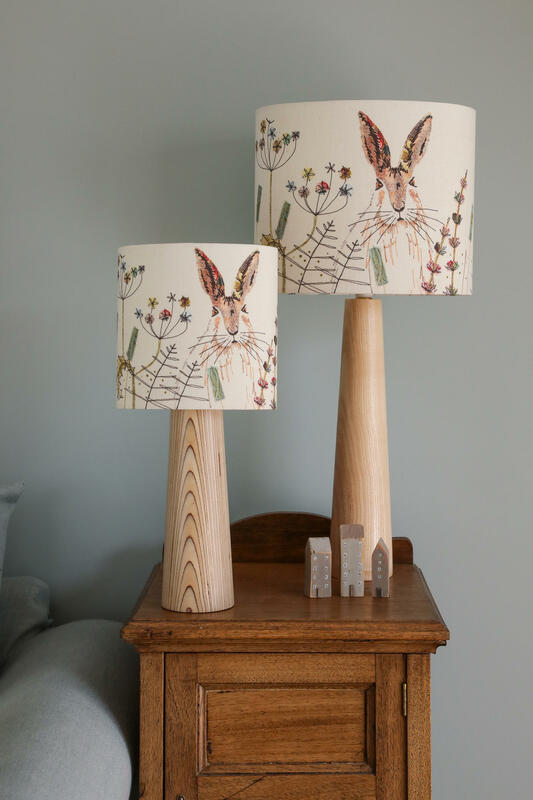 Available in 5 different sizes, this hare lampshade is certainly a best-seller! It's a superb quality print on fabric of my original handmade textile design, with prices starting from £38. It's always better when you have someone by your side! A lovely print of my original textile design. 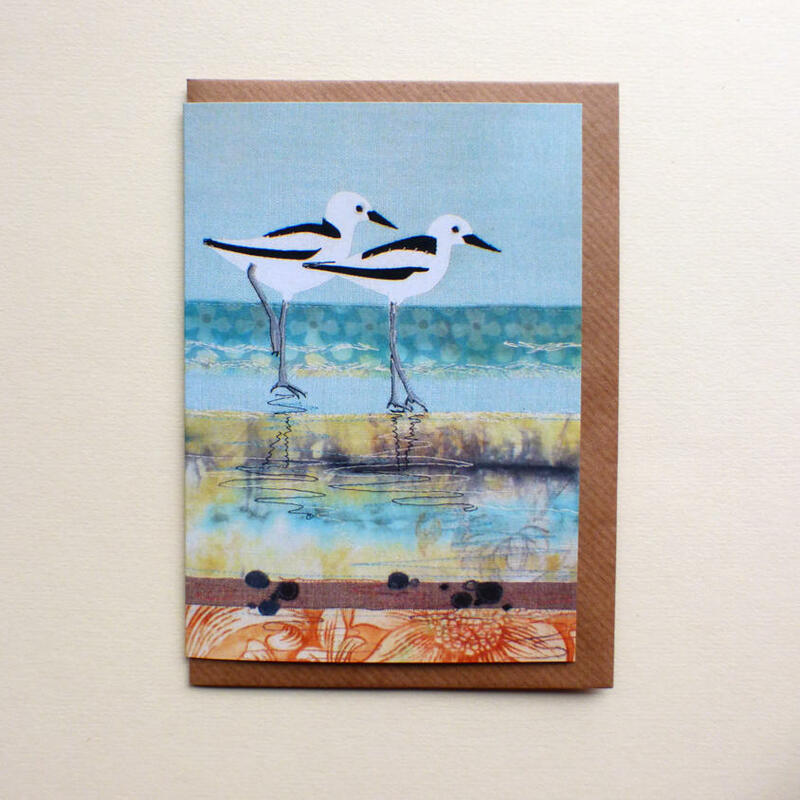 Blank inside for your own message - or I can write a personalised message and send it directly to your recipient! Prices from £2.50. Know someone who just loves to make things? 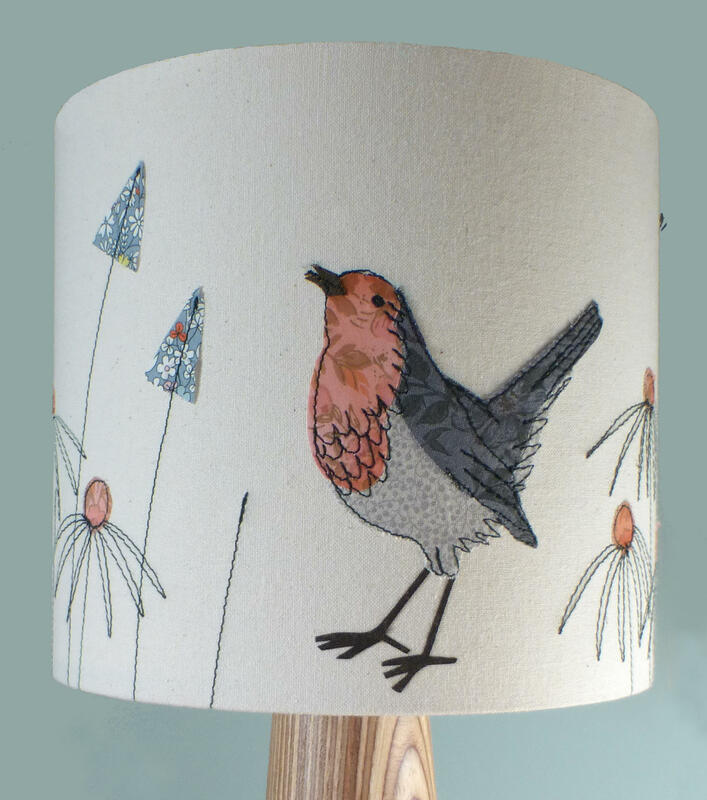 This gorgeous robin lampshade kit will put a smile on their face and contains everything needed to make your own version. Perfect for those who love sewing! A cushion kit is also available; prices from £35. Handsome and majestic! Lots of other wildlife available. Coasters of my handmade designs just £3.50. Hands up - who prefers the company of their pet?! 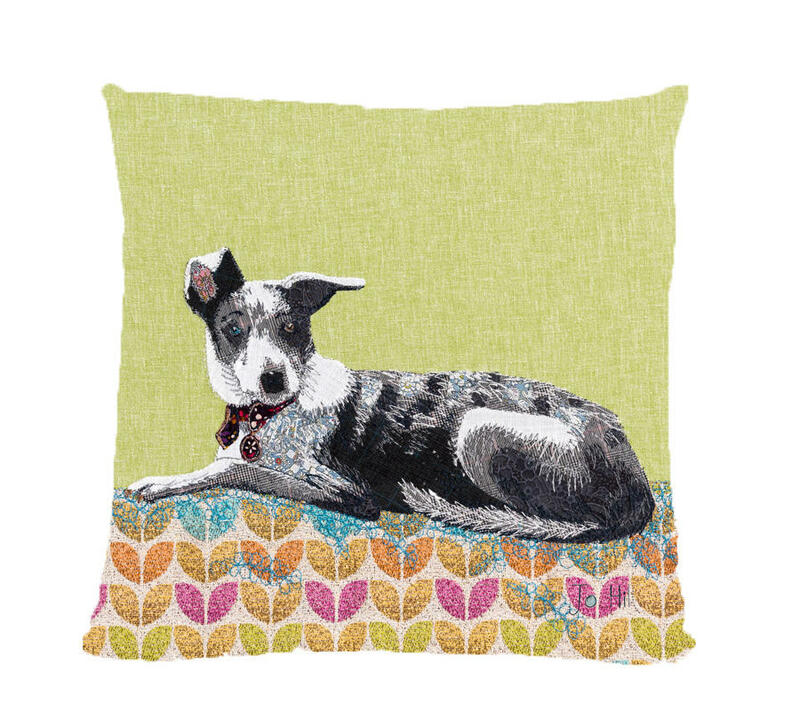 Cushions, coasters and wall canvasses featuring this beautiful dog are all available. 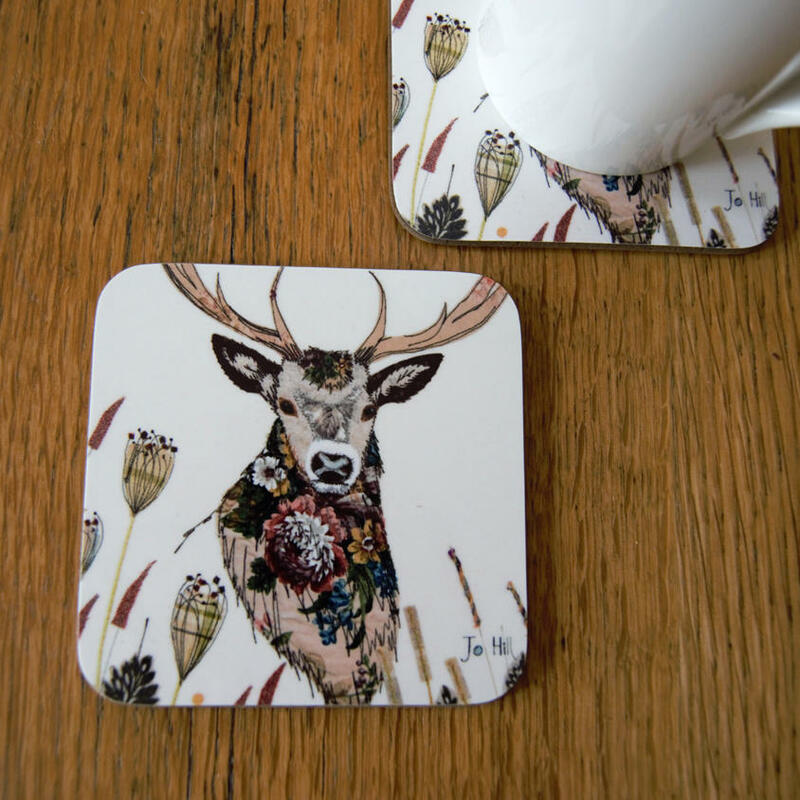 Prices start from £3.50 for coasters, and £26 for printed cushions.